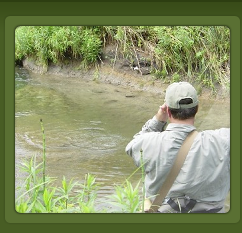 Information on booking a fly fishing adventure in southeast Minnesota. Trip options, pricing, and all other questions answered here. Contact me directly to line up your guided trip today! On The Fly Guide Service is the longest standing and most reputable guide service in southeast Minnesota and has been guiding anglers from all over the world since 1998. 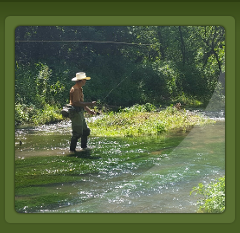 I am an independent guide service and operate with the interests of my clients and am not affiliated with any corporate fly fishing company or fly fishing shop as some other guide services in the Driftless area. I'm a regular guy who knows where the trout are. 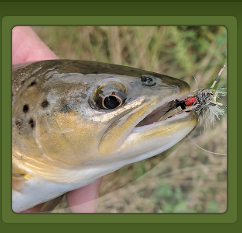 Whether you are new to the sport and want to learn about fly fishing, someone looking to fine tune their skills, or an out of towner looking to get out and catch some trout, I cater to all ability levels and skills. 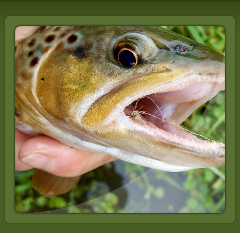 Fly Rod and Reel: If you have your own gear and prefer to fish it, please do; otherwise, I have rods and reels to outfit each angler for a day on the water. Waders: If you have waders, please bring them along. Spring and early summer, they are a necessity. Once the weather warms up a bit, waders are not always needed. Polarized Sunglasses: (preferably brown). I do have exra pairs of polarized sunglasses if needed. Other: Bug repellent depending upon the season, sunscreen, a camera/cell phone, and any other amenities for your outing. I provide transportation to and from the stream, snacks and beverages for half day trips; snacks, beverages, and a lunch for full day trips. I also provide all the flies, leaders, tippet, etc. and on the water instruction. On The Fly Guide Service accepts cash or check upon the completion of each trip. Paypal is an option as well. Gratuity is up to each individual client but is always appreciated. Read reviews on Google Review. Winter Trout Season Fishing via Start at the 16 minute mark.